Updated and spacious 4 bedroom and 2 bath home with lots of room for the family! A/C System, Fence, Stainless Steel Appliances, and Exterior and Interior Paint all NEW in 2017!!! This split floor plan features both a formal living room and a large family room with vaulted ceilings throughout. The open concept kitchen features lots of cabinets and counter space, tiled backsplash, and a breakfast bar that connects to a dining area. Inside laundry area, and all bedrooms are very spacious with full size closets. The generous fenced backyard and patio gives plenty of room for summer activities! 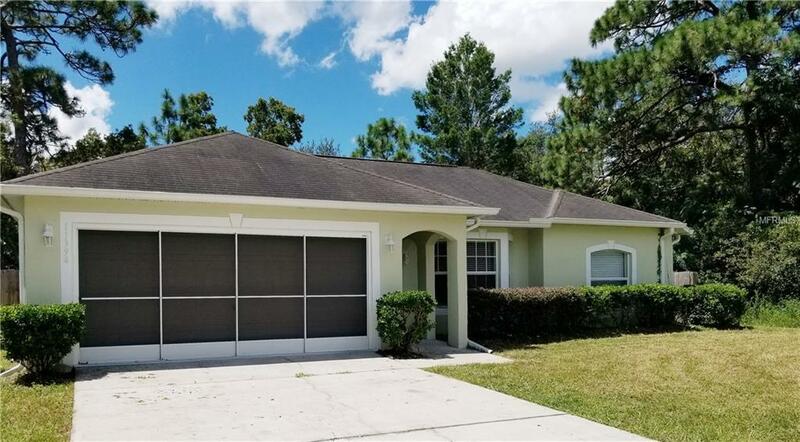 Home is centrally located near schools, shopping, restaurants, and close to US 19 and Suncoast Parkway!